There are a hundreds of reasons to love AMC’s Breaking Bad. The biggest reason I love the show is the writing. It’s efficient and thorough, never wasting a set-up from prior episodes or seasons. The sheer unpredictability of it all leaves viewers at the edge of their seats each week, trying to decipher how Walt and Jesse will work their way out of their latest jam. But now there’s only one season left, truncated and divided into two 8-episode mini-seasons. The next 16 episodes will bring us closure, beginning this Sunday. I’ve put together some Vegas-style odds for possible outcomes in the final season. Note: I don’t gamble, nor would I encourage anyone else to do so. This is all meant for fun. Nor am I a professional oddsmaker. These odds are not authoritative in any way. They are simply my best guesses after four seasons of obsessing about the show. Hank is good at his job, and he’s closing in. The storyline has been around since the beginning, and it would be rather pointless to place a DEA agent in Walt’s family if there’s never any closure to the plotline. Hank keeps getting closer and closer and it’s likely only a matter of time before it all clicks. He’s surely on heightened attention after the threat on his life at the end of last season. This was, after all, the catalyst in the chemical formula that has changed Walter White from nerdy high school teacher into a criminal mastermind. And it would be a great way to bring the series full circle. However, the series doesn’t seem to be interested in full circle. It’s all about starting at Point A and slowly crumbling towards Point B. It’s a decent thought from a writing standpoint but I think it’s highly unlikely. Skyler clearly has issues with Walt’s lifestyle and she’s come very close to turning him in during prior seasons. However, she appears to be beyond most of her issues and is now resigned to work as an accomplice and protect her children. The only way I could see this happening is if Walt’s crimes threaten Skyler and the kids, and she sees it as a the only solution in her haste. Walt has guns, power, and loads of depravity. How will he use it? It sounds outlandish on the surface. But there are few better ways left to show just how far Walt has sunk into his criminal behavior. And Hank is running out of possible Heisenbergs. Given the choice between letting Hank ruin his life or murdering Hank, I think Walt would do what he’s always done best- anything to survive. 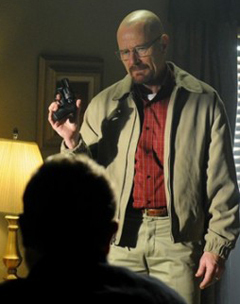 Walt has always protected Jesse and they’ve always had an odd, unholy alliance. The massive differences in personality are always a source of the show’s dark humor to date, and it’d be very easy to twist those giant differences into the end of Jesse Pinkman. Given Walt’s knowledge of chemistry and Jesse’s obliviousness to details, Walt could make it happen very easily. Before dismissing it, think of all the times their quarrels have led to a brawl and some of the awful things they’ve said to each other. Jesse wasn’t even intended to last, as a character, beyond the first season. They kept him around when they saw how talented Aaron Paul is, and how great he and Cranston worked as a duo. That being the case, I think it’s highly unlikely that the protagonist would be taken down by his partner in crime. This is still hanging around between Jesse and Walt like a lingering putrid fart. The Jane storyline has dissipated but the Brock storyline is still very fresh. 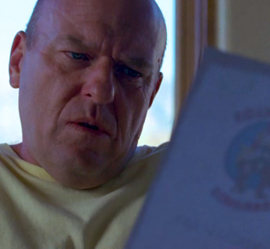 Jesse already suspected that Walt had something to do with Brock’s illness. And it just feels like something that would happen on this show, with Jesse stumbling onto the info somehow. Anything is possible, of course. And murdering Skyler would certainly illustrate the depth of Walt’s depravity. But the fact of the matter is that everything Walt has done has been to provide for and protect his family. I can’t see him sacrificing that regardless of anything Skyler does. Gus wiped out a lot of competitors but there are surely more lurking. And as clever as Walt has been at various times, he’s not as skilled at this game as Gus was. Serving as the head of a drug cartel is hardly Walt’s forté, which means he’s going to be vulnerable at times to exactly this kind of threat. Think of all of the little things that Gus did to make his operation work- the front, the connections to the legitimate world, the methods of trafficking… Now think about Walt figuring out how to do all of those things. He’s ripe for some sort of failure. And it would be a heck of a cherry on top of Walt’s degradation sundae. The show is very dark, but I don’t think it’s dark enough to kill off either of Walt’s kids or even his wife. Sure, they were threatened once by Gus. It took a great deal of Walt poking and prodding at Gus for it to reach that point, so much so that there aren’t enough episodes left for Walt to prod anyone else enough for it to happen. I don’t think this is likely in any way, shape, or form. Saul’s own criminal behavior could make him a target for authorities, which opens the possibility of cooperation on his part. There’s no doubt he’d be willing to sell out Jesse and Walt to save his own skin. But the resolution would feel like a massive cop-out, a horrible way to end a series that has been perfect in every way until now. With Saul’s legal abilities, it seems much more likely that he could negotiate his way out of it without giving up his clients. That’s how I see it. Truthfully, I’d bet on none of those things happening if I was a gambling man, and that’s a tribute to the unpredictability of the show. If they’re going to give closure, I would expect it to end in one of only two ways. Either Walt gets murdered, or Walt gets busted by Hank. What do you think? Would you take any of these bets? Along the way, you can bet that we’re going to see Walt slip even further into the depths of depravity. Buckle in, folks. It’s going to be one hell of a ride. Oh God John, I am so excited!! Anyway here is one design I did..
Those are great, Scott! I really like the Walt illustration. Did you do that one too? Yeah man. It is a steep learning curve with illustrator but I seem to be making headway. I too am pretty pleased with Walt!! Thanks though man, from you that means a lot!! Those are some pretty good predictions but I think it’s extremely obvious that the entire 5th season will be one long IRS audit. There’s gonna be some exciting paperwork going on. I can just see Skyler now, looking on Wikipedia to learn about tax law. Vince Gilligan said in an interview that Season 4 was written as a possible series finale since they were still in negotiations during the writing. He mentioned that the 2 threads which were left unresolved were Hank and cancer. I would bet that both will be featured in Season 5, but I have no idea how it will work out. Ah,that’s great info. Gilligan is so forthright with the way he speaks about the series. Do you ever listen to the podcast? (I may have asked that question before) If not, it’s well worth the time. I have chills just thinking how this is coming to an end. It’s going nothing short of spectacular any way you can put it. 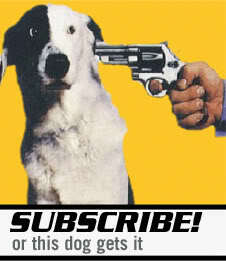 My bet is on the demise of Walt, one way or another. It almost seems like it has to happen, right? Otherwise, the show would just go on forever and ever. Gotta agree with Castor. I don’t see Walt surviving when all is said and done, but other than that I have no clue what’s going to happen. But that’s what I love about this show — its unpredictability. Can’t wait for the new season! We’re down to less than four days. I’m like a kid anxiously prying open the windows on an advent calendar. I’d list all my predictions but I have too many and they’re all probably going to be wrong. I’m just crazy excited for this season but irritated that they’re splitting them into two parts. It’s just weird to me. Agreed! I don’t get that at all. We’re going to have so much momentum after the first 8 episodes, and the wait for those final 8 episodes is going to be maddening. I would definitely put money down on Walt offing Hank with those odds. I’ve thought Walt’s cancer would come back too but now I’m not so sure. It will be interesting if Walt continues down his current track or finds a way out. I normally hate when shows end with the main character dying since it usually seems lazy (“well, we don’t know how to end this but if we kill him then that wraps it up!”) but I almost don’t see a way to end the show without Walt dying or ending up in jail. Obviously the show is all about surprising turns of events so I have faith, even if they do choose to kill/imprison him that it will be awesome. I know what you mean about characters dying. This is one of those odd cases where the show started off with that premise, so it would at least be natural. 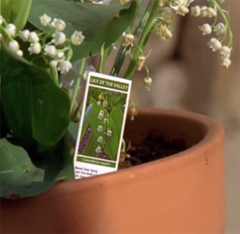 Evens – Walt dies. How, by whom and in what circumstances they will leave us deliciously guessing at for the next 12 months, and we wouldn’t want it any other way. Art / Storytelling of the very highest quality.